We want to thank you for visiting our site! Below you will find some coupons for Champagne/Margarita Brunch on the weekend, lunch/dinner for 2, daily lunch special, and drink specials throughout the week! 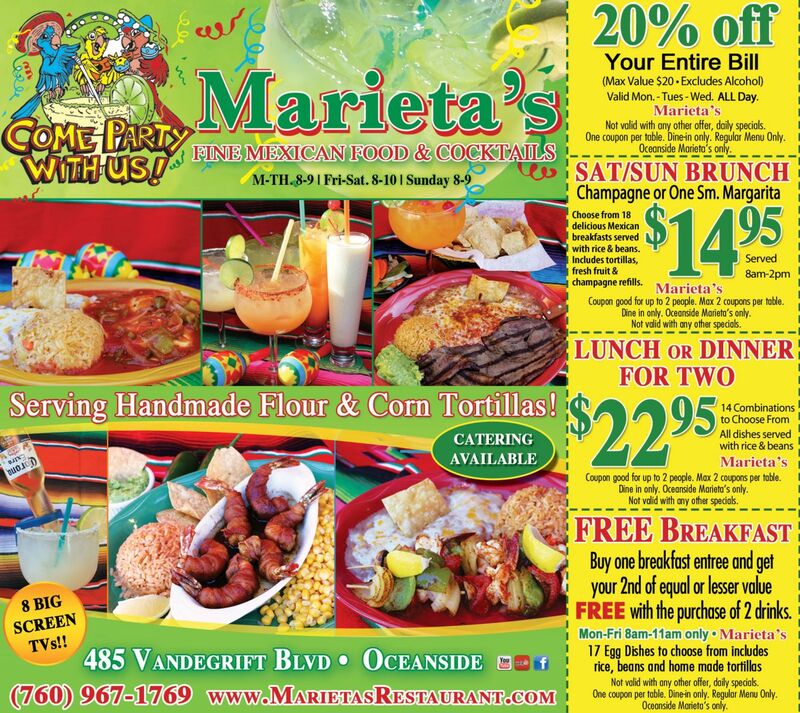 Simply right click on the image, select "Print Picture", and come enjoy a fine meal at Marieta&apos;s!